For contemporary game designers, the Holy Grail of gaming is to create compelling experiences that bridge both the on-screen world and the real world. 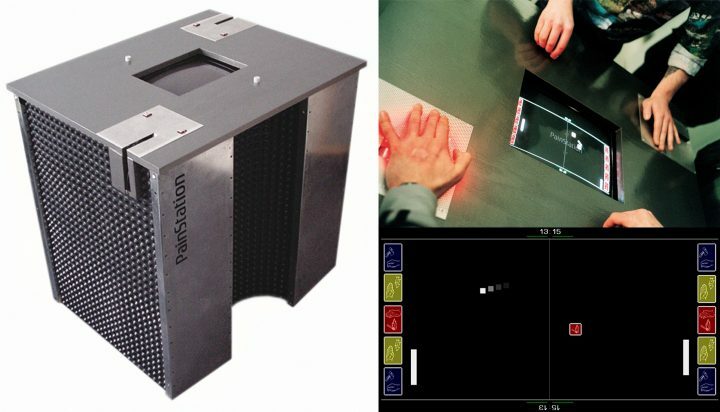 Now fur may have started a trend in convergent media with the game PainStation, a two-person console that dishes out physical pain to unsuccessful players. Avoiding the obvious references to unusual sexual practices, we prefer to describe PainStation as “a contemporary duelling system”. Many players have ended up with red, bruised hands – although not for long. The PainStation marks out a new territory in convergent media and may well inspire the games industry to further innovations. En garde! 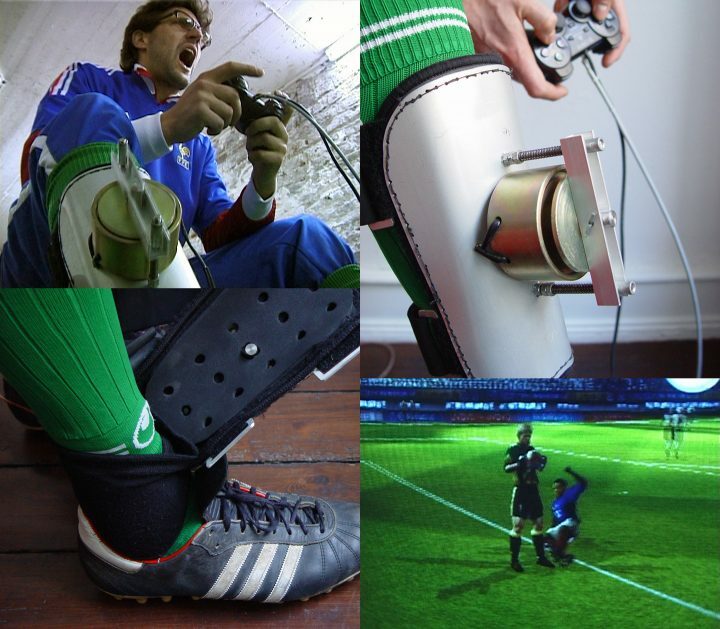 The LegShocker is -although usefull in many of the game industry’s agreeable products- most suitably designed for EA Sport’s FIFA 2002 and FIFA World Cup 2002. The players, before putting on their football footwear, each slip into a hand-sewen shinpad and step onto a piece of professional lawn. With the controllers in their hands they face the first opponent between them and the screen. The ball. It’s used to shoot. Yes, you know this. But you can also tackle others by kicking it… A human opponent wearing the LegShocker will probably not like it..